The Kingfisher is a unique looking bird with a distinctive rattling call and can be found across most of North America. They are often seen perched or flying along rivers, steams, ponds and lakes looking for fish. This is a fairly large bird at a little over a foot (30 cm) tall and an almost two-foot wingspan. If one flies past they are difficult to miss. I often see them along the DuPage River usually well out of camera range. Imagine my surprise when I saw one at the small pond in the park a few blocks from my house. My zoom lens will just barely shoot the far side of the pond where she was perched, but I was finally able to get a photo of this elusive bird. The two rusty colored bands on the breast of the bird tells me this is a female. Males have an all white breast. This is one of the few species where the female is more brightly colored than the male. She put on a nice show for about five minutes diving into the pond in search of a meal. She was successful. In the photo above she has a small fish in her mouth which she promptly swallowed whole and then flew off. 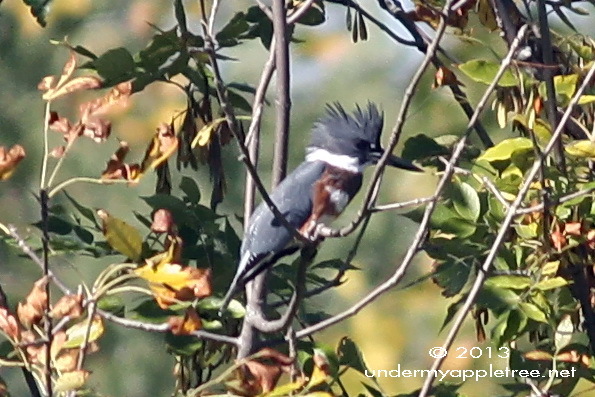 The Belted Kingfisher can be found in most parts of the US year-round. They will remain during the winter as long as open water is available as their diet consists mainly of fish. 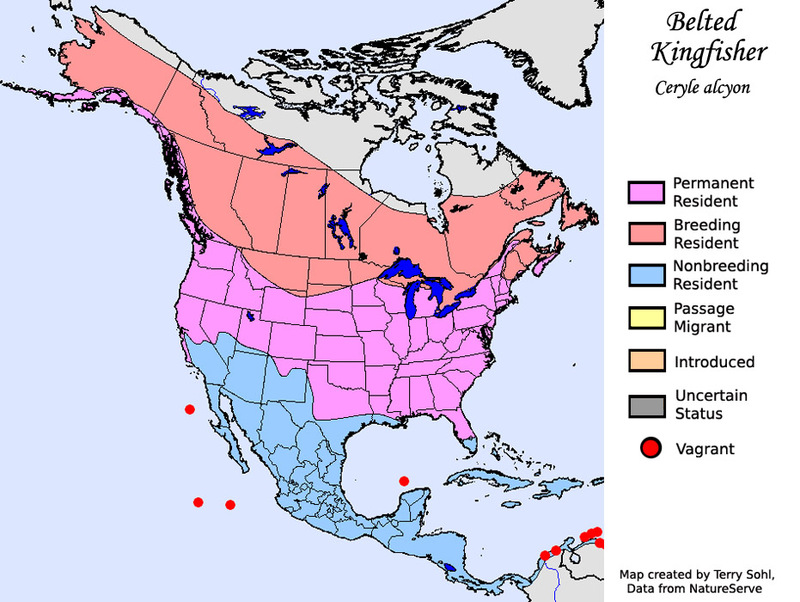 They will breed as far north as Alaska and Canada and will migrate south in the winter. Some will migrate as far as Mexico and Central America. 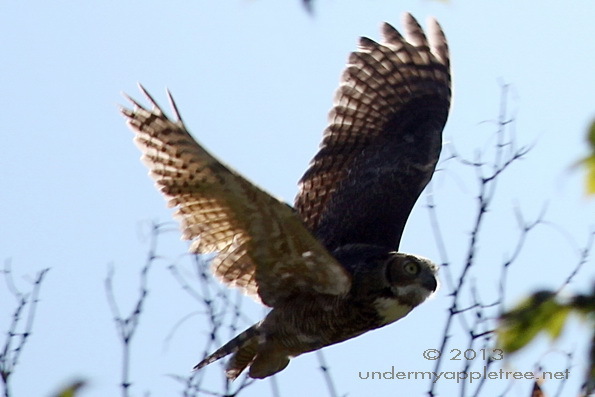 As I was leaving the park a Great-horned Owl flew out of one of the trees along the wooded path. I’ve never seen or heard an owl at the park before. I rarely see them anywhere during the daytime hours. It was an unusual day. What a treat, thank you for sharing your adventure. I’ve never seen a King Fisher, and owl a little more frequently. I suspect I’m too far away from water for a King fisher. They are very fast moving birds. One could fly past you and you wouldn’t know what it was. I first identified it by it’s rattling call, then searched the pond area for the bird. The owl was a total surprise. We only have an average number of resident birds but get a large number of migrants passing through along the Great Lakes Flyway. Kingfishers are one of our fun-to-see residents. A fish hatchery would be an excellent place to see birds. I bet you saw Ospreys and Eagles too! You are always so lucky with your shots! You’ve made my day! It’s been eons since I’ve seen a kingfisher. And lucky you to see an a Great-horned owl in the daylight. What a treat! I love the muted shades and the regal appearance. 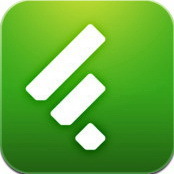 Thanks for sharing…and for visiting my blog. Great colors and great bird photos. Thanks! I love the kingsfisher, it makes me laugh each time I spot one, looks like he forgot to comb that morning, lol. And they can be so crazy fast. 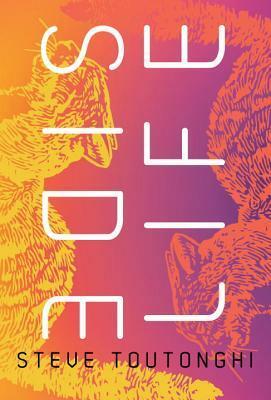 on more bird notes: a few weeks ago, i Florida at the edge of the Ocala forest, I heard a whole bunch of barred owls. It took me a while to understand what I was hearing. it sounded like a pack of demented dogs, but the pattern made me think. I knew it was not coyotes either, and then I remembered about owl sounding like dogs. I listened to some youtube videos, and here they were! Quite incredible! And this morning in Western suburb Chicago, we had a huge flock [+/- 100?] of (migrating, right?) grackles in our yard for a bit over an hour. Fascinating! Plan to post pictures and video soon. Those Grackles have been showing up in my yard too, 20 or 30+ of them at a time. Some are year-round residents but those huge flocks must be migrating because they usually disappear from my yard by the end of October. Didn’t know that about the Barred Owls sounding like dogs. Magnificent photos, as usual. They are strikingly regal. Your map shows that they should be our area, NE Wyoming, but I have never seen one either. We don’t have a lot of water, and I do not spend much time near the water that we do have. They probably are nearby, I just am unaware. I should be more observant. Thanks for you awesome pictures, as always. Until I went on hikes with my bird club I had never seen one either. Knowing their call makes it much easier to find the bird. What a beautiful bird, and so wonderful to see. I’m very glad you were able to get photos to share with us, I’ve not seen this one before. Kingfishers are always great to see, our famous kookaburra is a kingfisher of course, and I love seeing them although they’re a common sight for us. 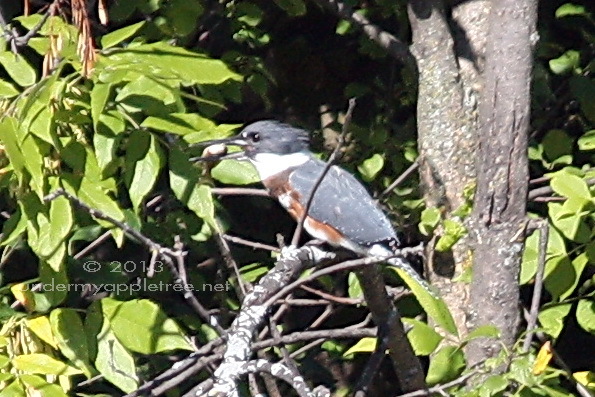 Yesterday on my afternoon walk I saw three sacred kingfishers – an unusual day for me too. How fabulous to see an owl in daytime! You have the king of the Kingfishers. Kookaburra is a magnificent bird. Wow, beautiful! I have seen them from a distance but never that close up! I love how the head feathers are sticking straight up in the first photo! I’ve always wanted to see one, but alas … that first shot is terrific! It’s been a long time since I’ve seen a kingfisher up close. I used to see them all the time when I was a kid – our bus route followed a creek, slough and then bay, so lots of birds to see each day. Great pictures! I’ve never seen a kingfisher up close!